Summary: Developments are happening for faster payments systems. What you should know and how your bank can make its voice heard. 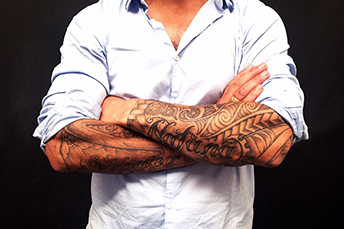 About 40% of the US adult population ages 18 to 69Ys old say they have a tattoo. Given the art of tattooing goes back some 6,000 years and there are more than 20,000 tattoo parlors in the US alone that seems to make sense. To avoid getting tattooed of another sort by your competition in the payments space, your community bank should get directly involved. Today we talk more about that. Through its faster payments project over the past 2Ys, the Fed collaborated with a diverse group of industry influencers and stakeholders. The goal was to develop suitable approaches and solutions for a faster payments network. The Fed recently published a Request for Comment on its role in the faster payments network. That request is designed to assess its continuing role in the faster payments project. Accordingly, community banks should respond before the December 14th deadline. It may be difficult to keep track of all the developments with the faster payments systems, so here is a short primer for you. As you know, the Fed currently helps in settlement with most payments, while other parties are processing the payment streams that go through the ACH and debit rails. On the ACH side, the Clearing House (TCH), core providers and National Association Clearing House Association (NACHA) are the biggest providers of faster payments. For P2P and debits, such players as PayPal, Zelle and Apple Pay are significant. So, with those payment channels covered, why should the Fed need to be involved and what does it mean for community banks? As we move to real-time payments (RTP) as a country, the main players will need to ensure liquidity is there, the infrastructure is integrated yet streamlined, and cybersecurity is solid, among other things. Community bankers also need an unfettered seat at the table. Of course, while the Fed has not committed to any explicit actions yet, the ideas mentioned include a payment service that is always available (24-7-365) real-time for a more streamlined process, along with a liquidity management tool. It is certainly critical for the US to get the payment system right. This is true not only for domestic users, but for smooth international commerce as well. Most countries are leveraging their federal agencies, especially their central bank, to lead and support the underlying payments process. Yet, in the US, private and public entities are collaborating to find the best system. This may take longer, but it could also have the best result. While RTP may seem like it is down the road and will be solved by someone else, know your customers are in play, so it is critical to be informed. Think of your bank's current payment processes and how your bank is growing as RTP becomes a reality. Take the time to comment on the Fed's proposal before the Dec 14th deadline, to make your bank heard. Our position is to support the Fed's ongoing key role, so all banks can effectively use the US faster payments system. This is your chance to chime in before anything gets officially inked. 1) Simmons Bank ($16B, AR) will acquire Reliance Bank ($1.5B, MO) for $62.7mm in cash (37%) and 4mm shares of stock (63%) or about 1.59x tangible book. 2) Silicon Valley Bank ($55B, CA) will acquire investment bank Leerink Partners (MA) for $280mm in up-front cash and $60mm to be paid over 5Ys. Leerink focuses on healthcare and life science companies. 3) BancorpSouth Bank ($17B, MS) will acquire both Grand Bank of Texas ($345mm, TX) for about $51.75mm in cash (21%) and stock (79%) and Merchants Bank ($221mm, AL) for about $37.5mm in cash (21%) and stock (79%). This is an aggregate price to tangible book of about 1.65x. 4) Advia credit union ($1.7B, MI) will acquire Golden Eagle Community Bank ($150mm, IL) for an undisclosed sum. 5) BankFirst Financial Services ($974mm, MS) will acquire FNB Of Central Alabama ($271mm, AL) for an undisclosed sum. 6) FirstBank ($5B, TN) will acquire 11 TN and 3 GA branches from Atlantic Capital Bank ($2.7B, TN) for a 6.25% deposit premium and a 0.68% discount on purchased loans. The branches hold $602mm in deposits and $381mm in loans. Bloomberg reports Wells Fargo may be considering selling its retirement plan services business, as it continues to divest certain units. The sale could fetch $1B.